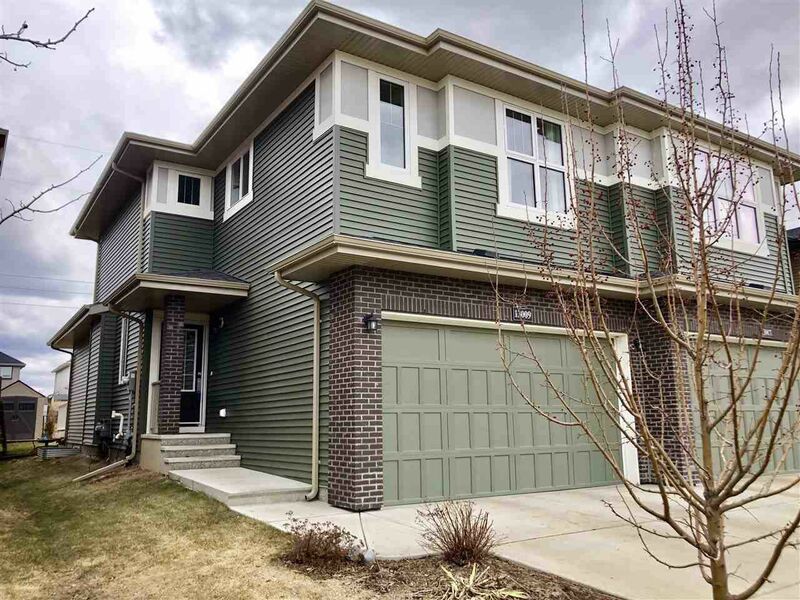 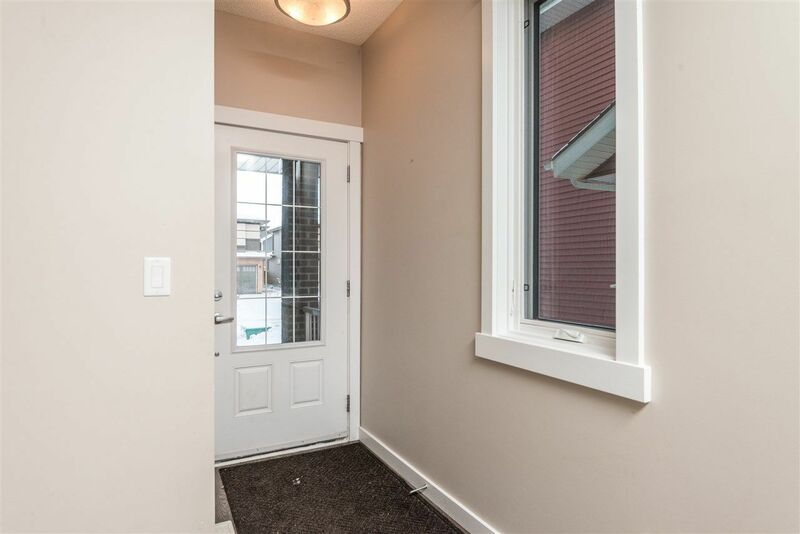 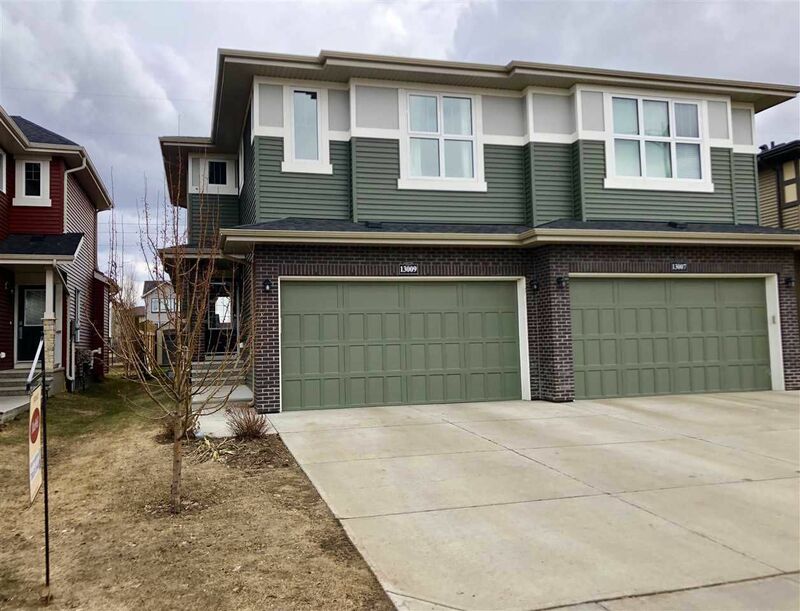 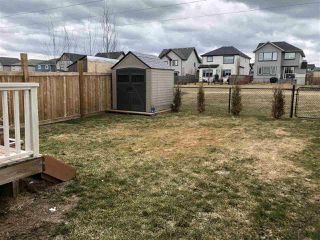 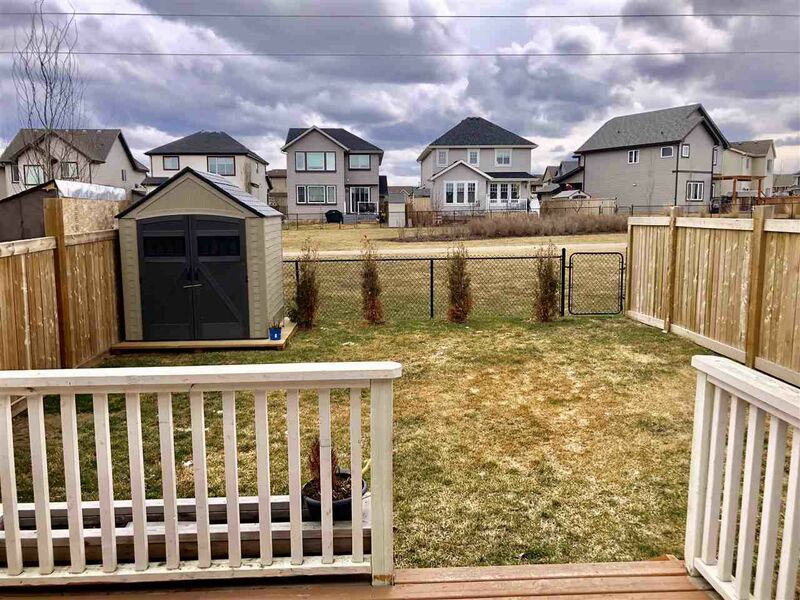 This Homes by Avi built Duplex with private and fenced yard backs green space with beautiful walking trails and is situated in the family friendly community of Trumpeter. 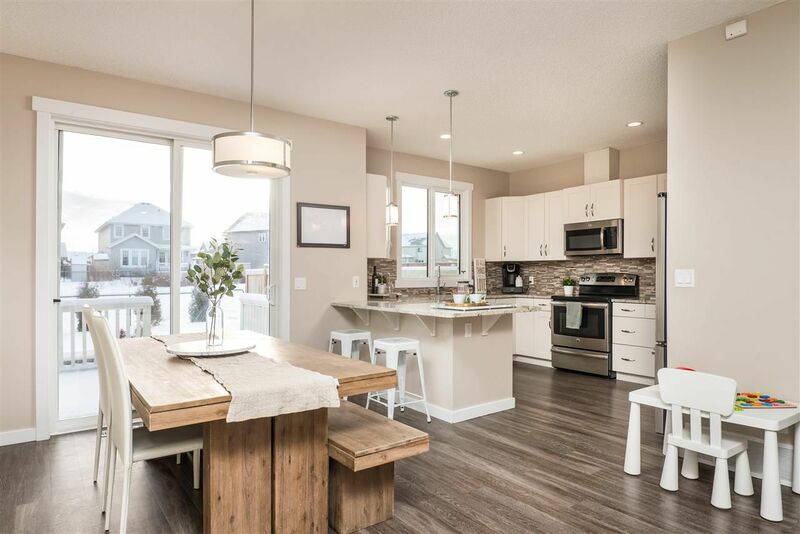 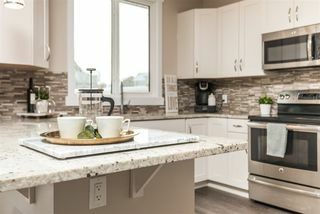 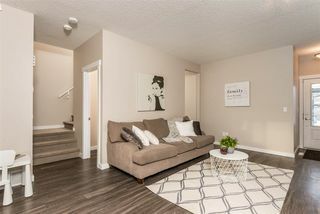 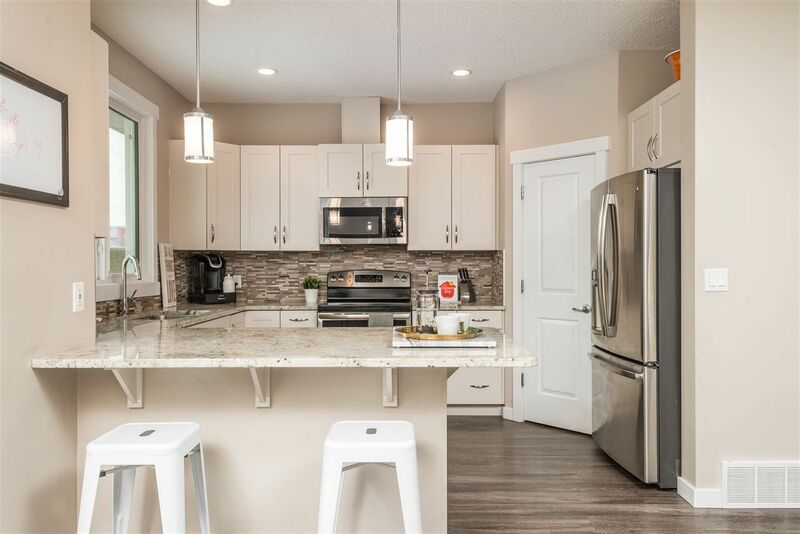 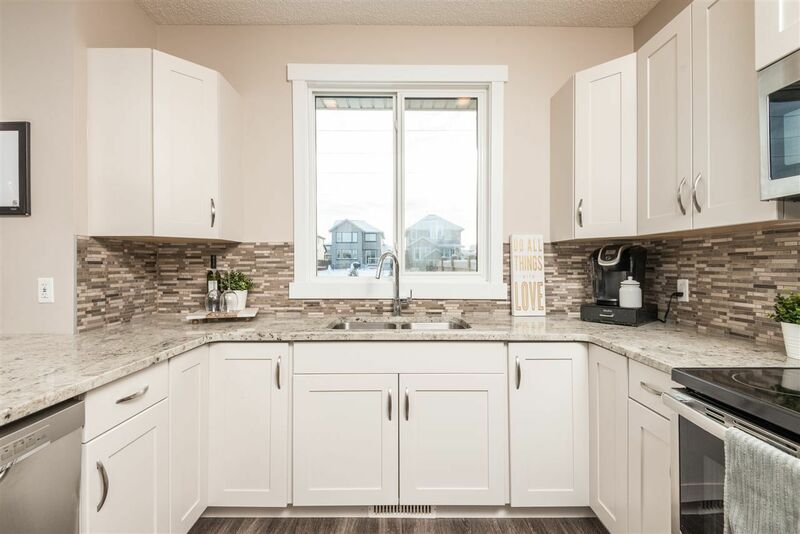 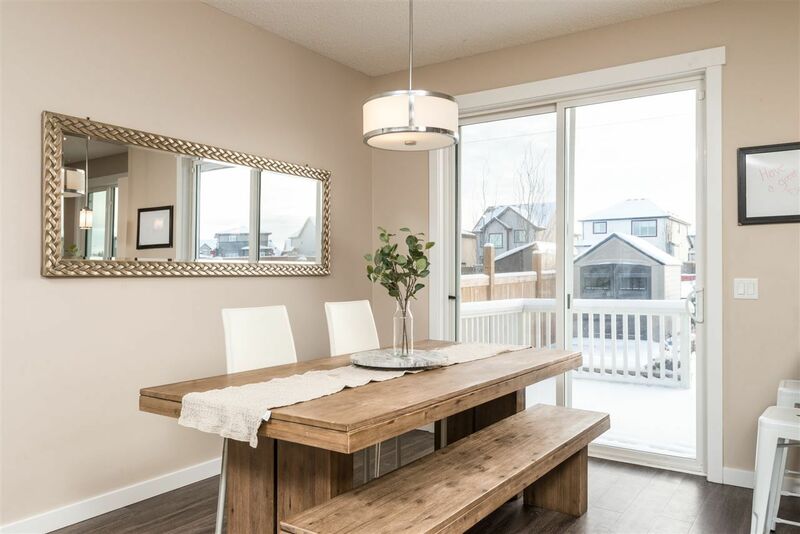 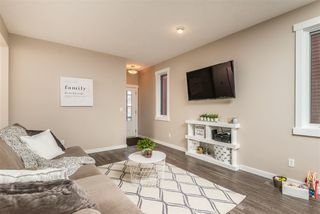 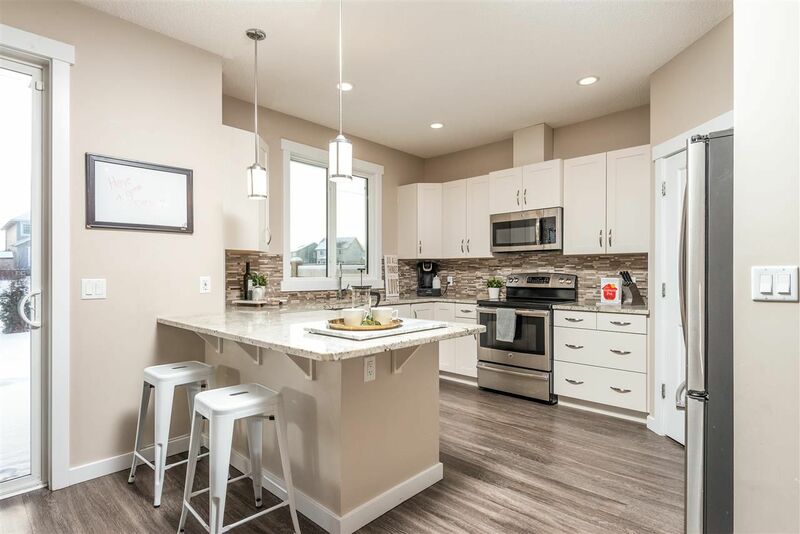 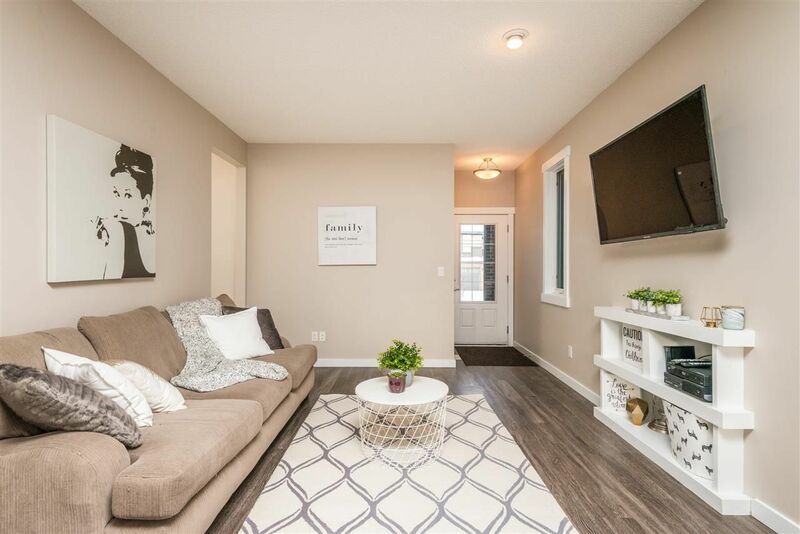 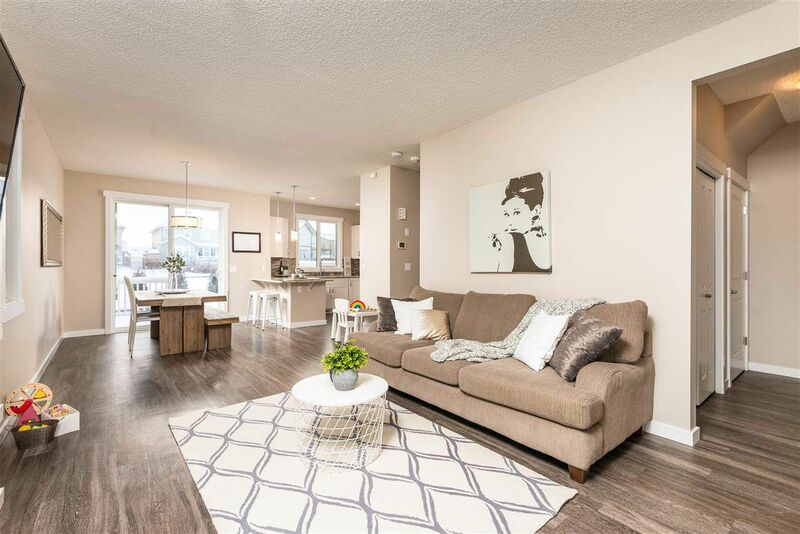 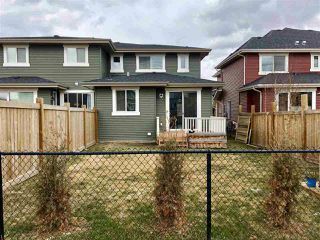 Open concept living area boasts 9' ceilings throughout the main floor allowing for great light in the radiant white kitchen with eating bar, ample granite counter space, SS appliances, and functional corner pantry to keep life organized. 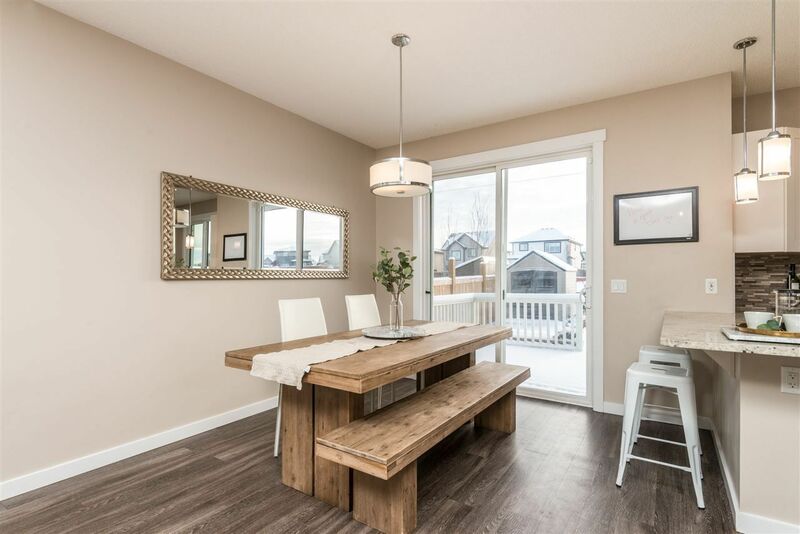 Finishing off the main floor is a bright and spacious dining area that leads to the backyard deck, and half bath. 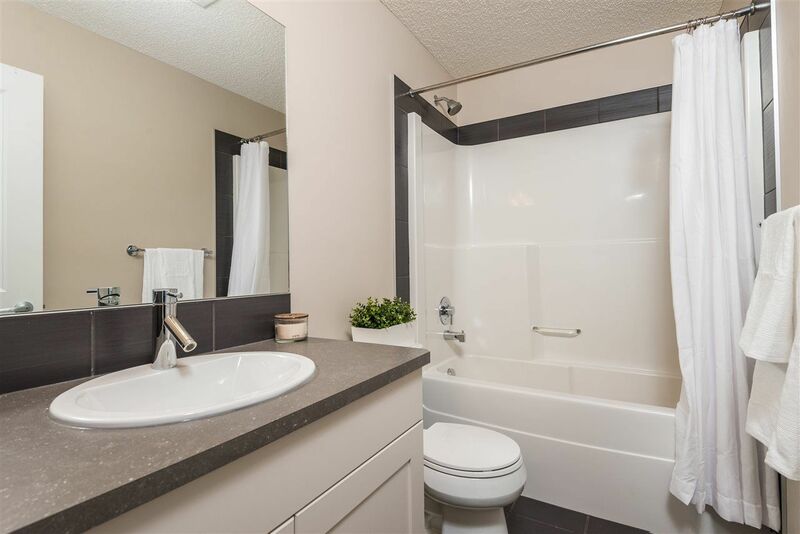 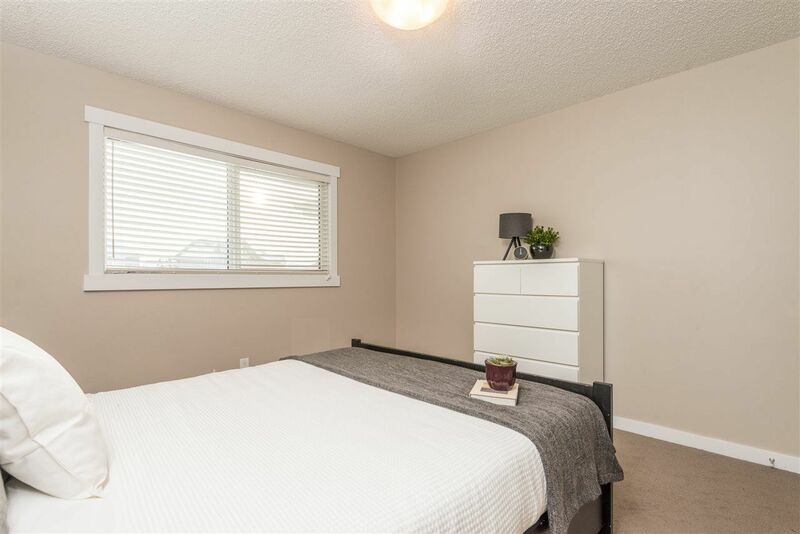 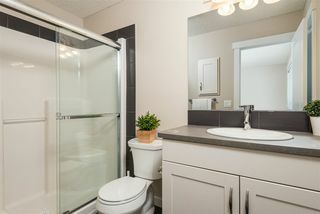 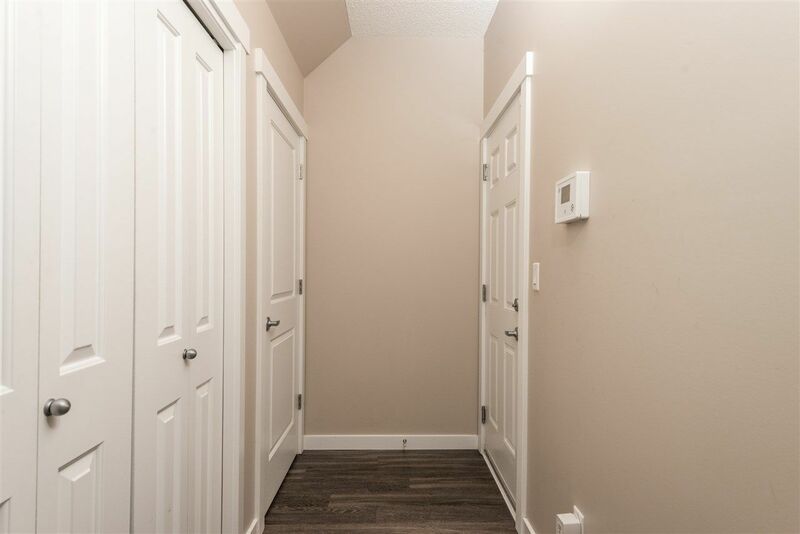 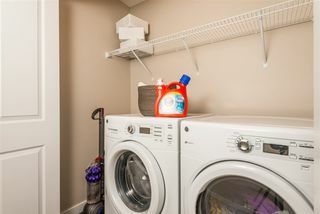 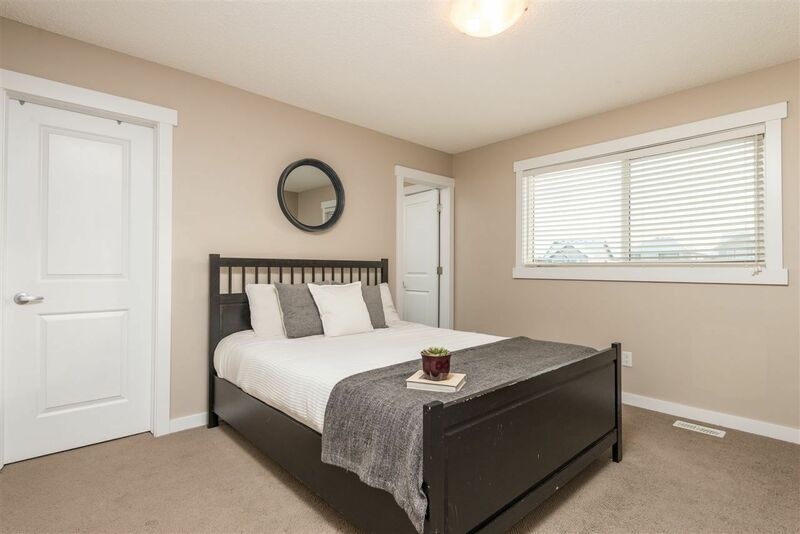 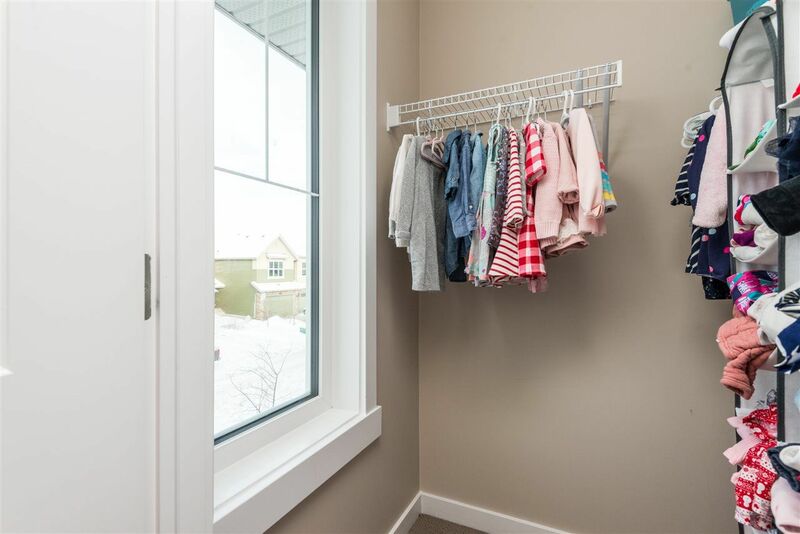 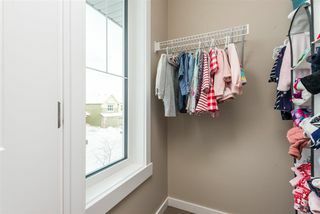 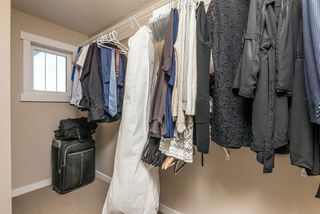 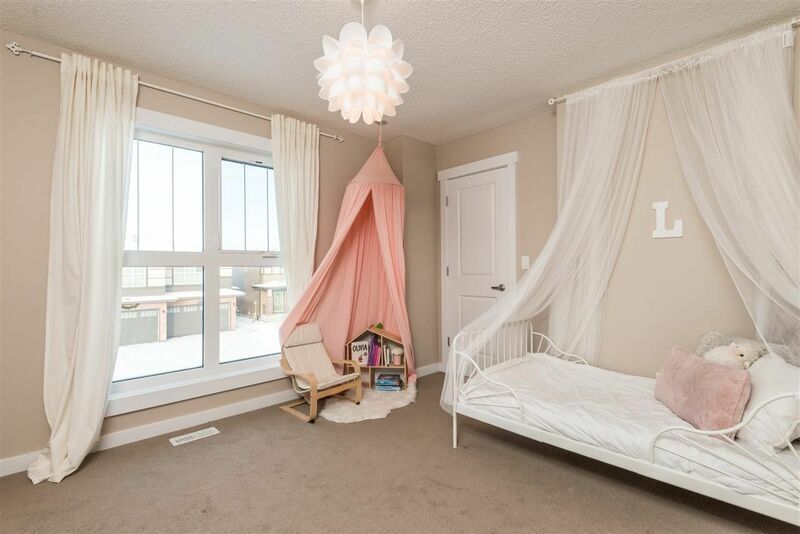 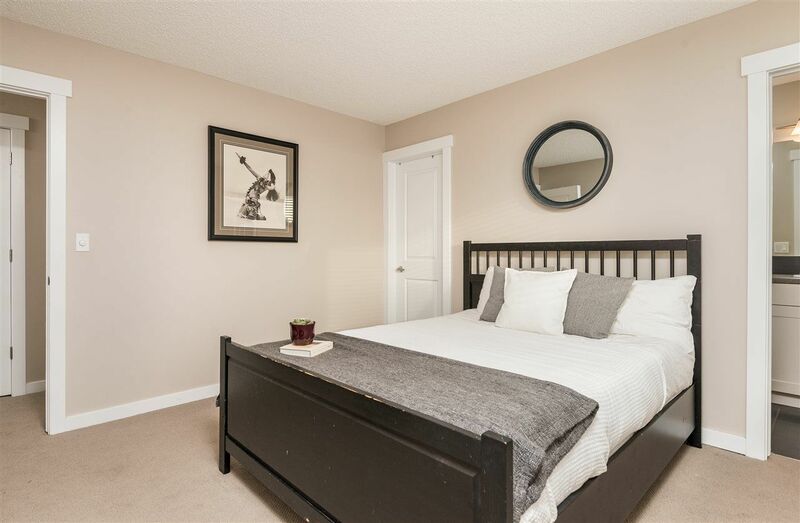 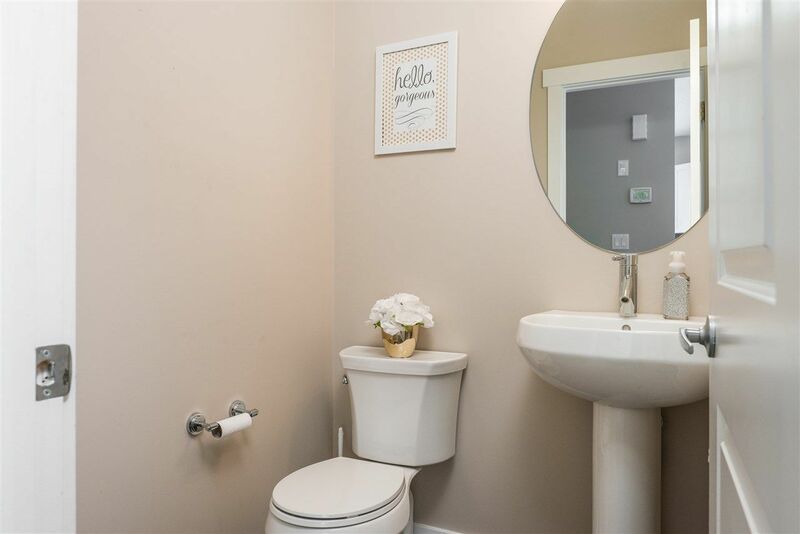 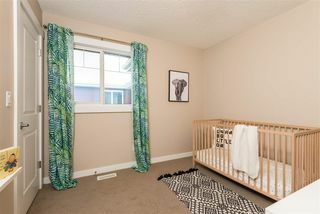 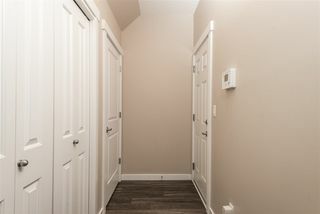 Upstairs you will find the Master bedroom with large walk-in closet and 3 piece ensuite, a full 4 piece bath, laundry area, and two additional bedrooms both with walk in closets. 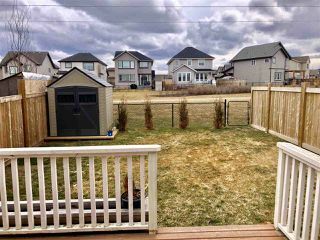 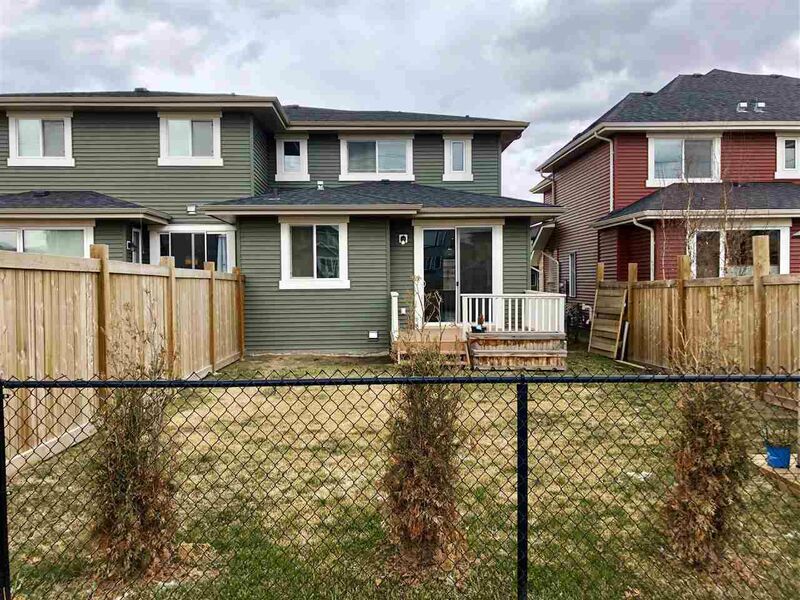 Other features of this home include a double attached garage and a basement that is unfinished and awaiting your ideas. Big Lake and Lois Hole Provincial Park are located close by and No condo fees!